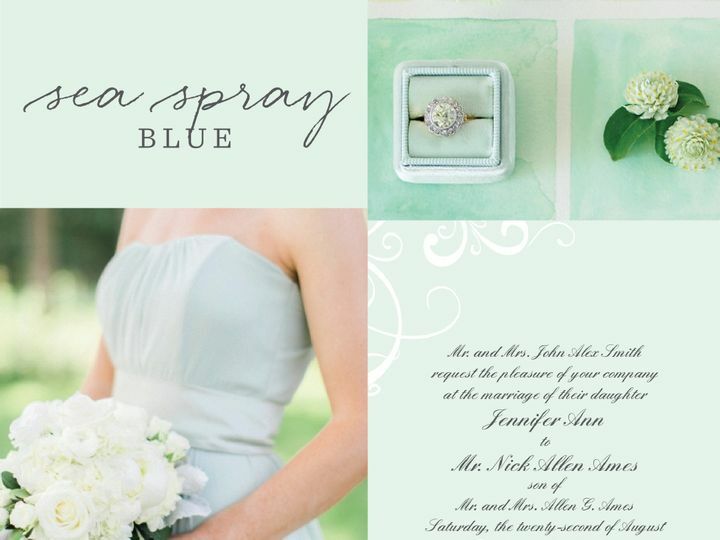 Truly customize our cards to match your wedding colors perfectly. 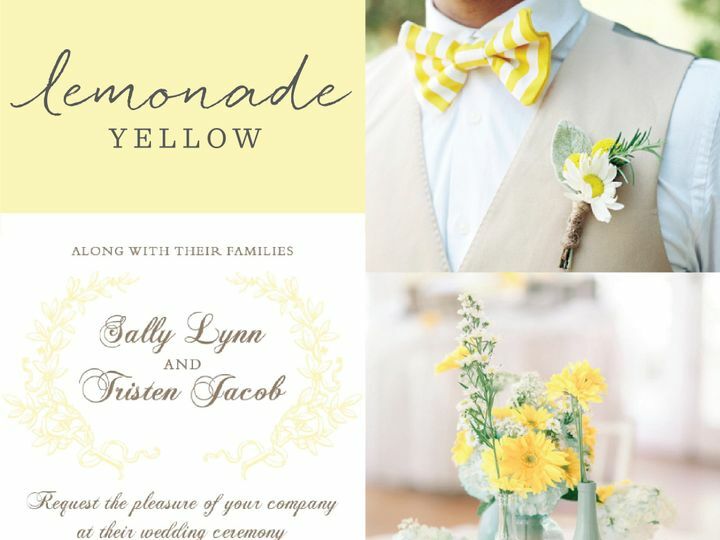 Instantly build your own wedding color scheme and order a fully customized sample today. 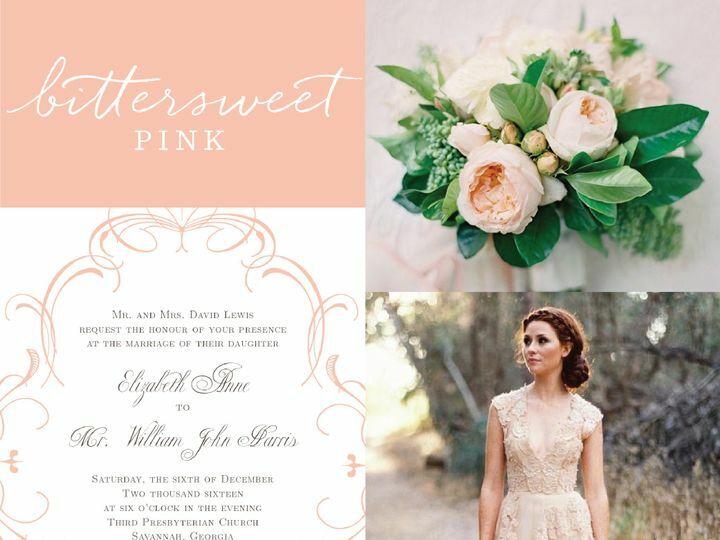 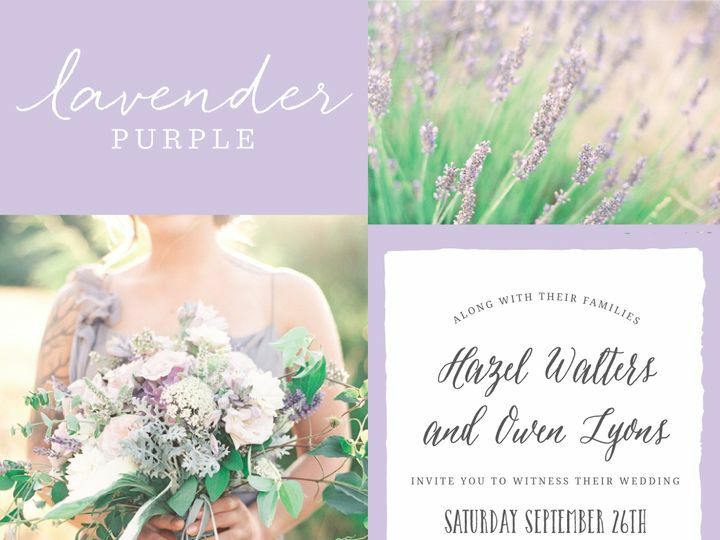 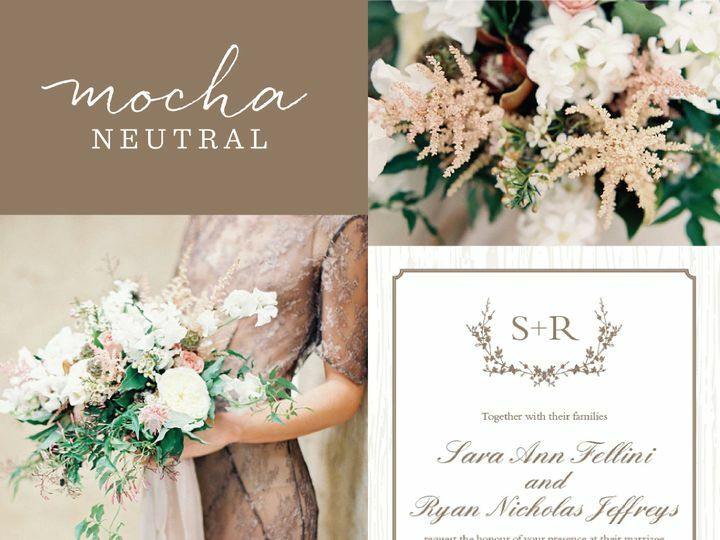 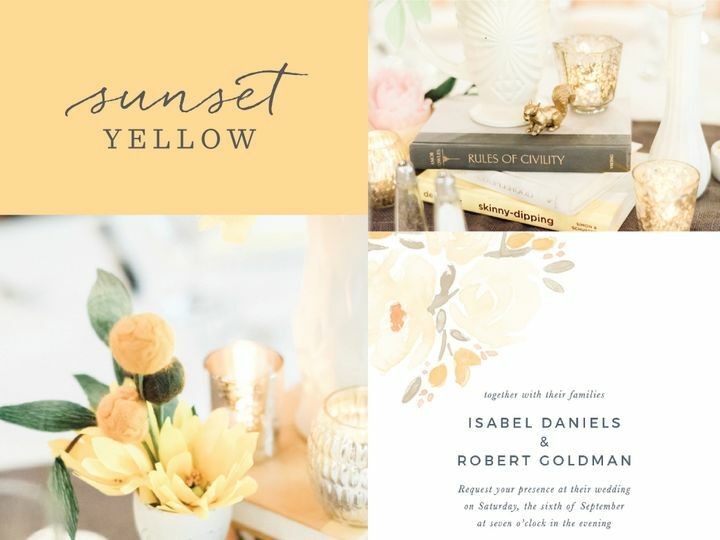 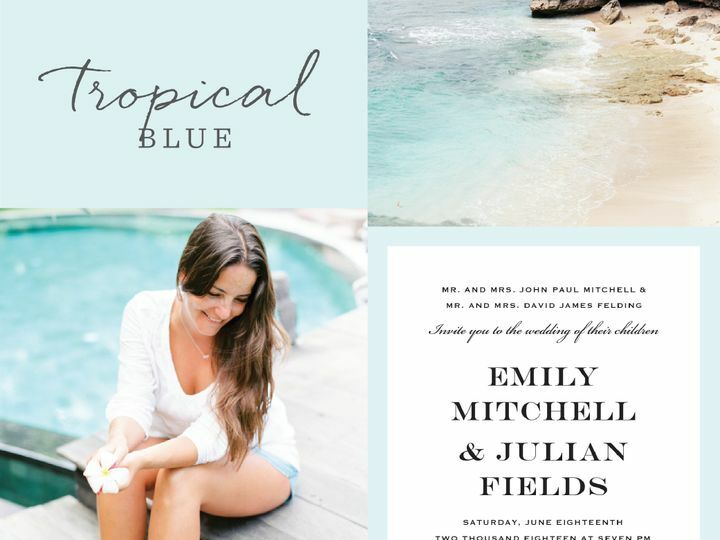 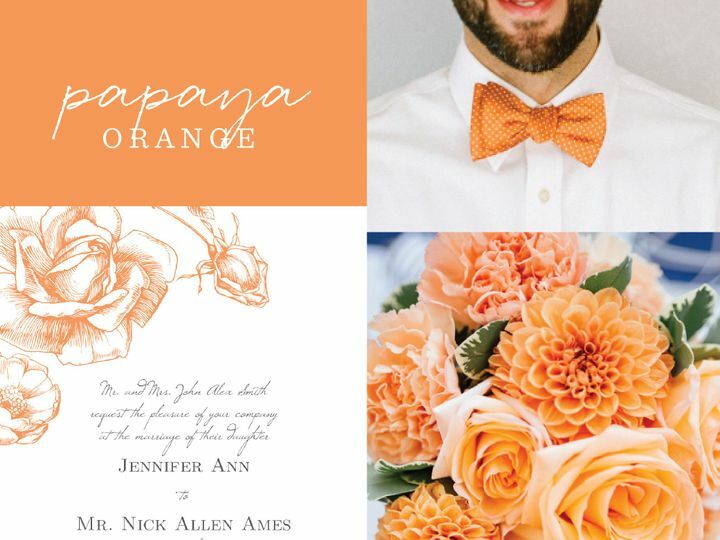 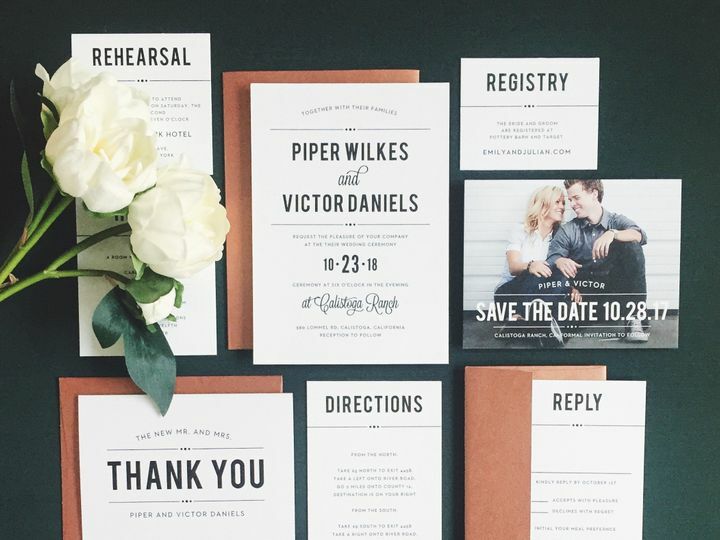 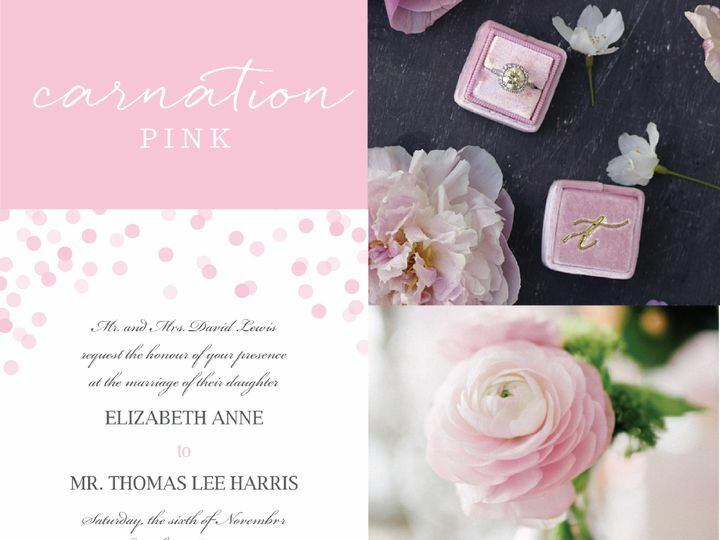 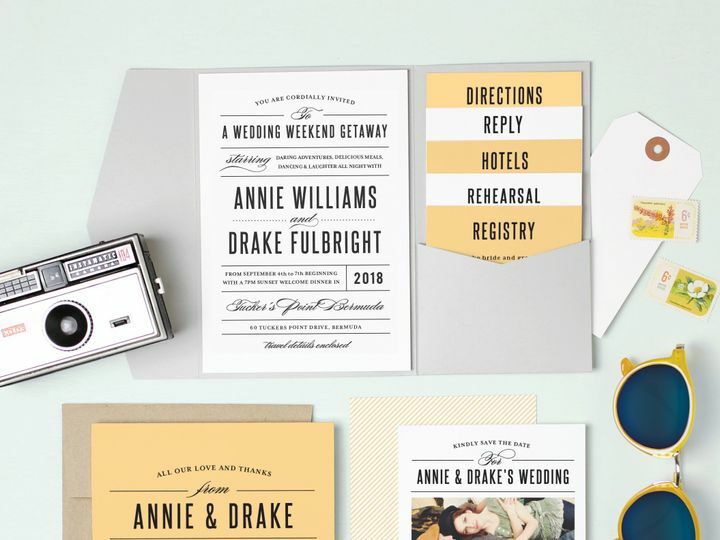 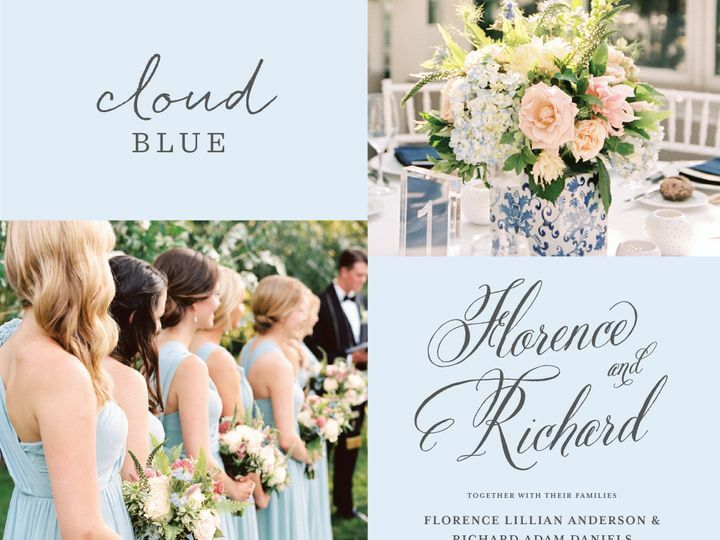 Take your unique wedding color theme and apply it to any of our wedding invitations instantly. 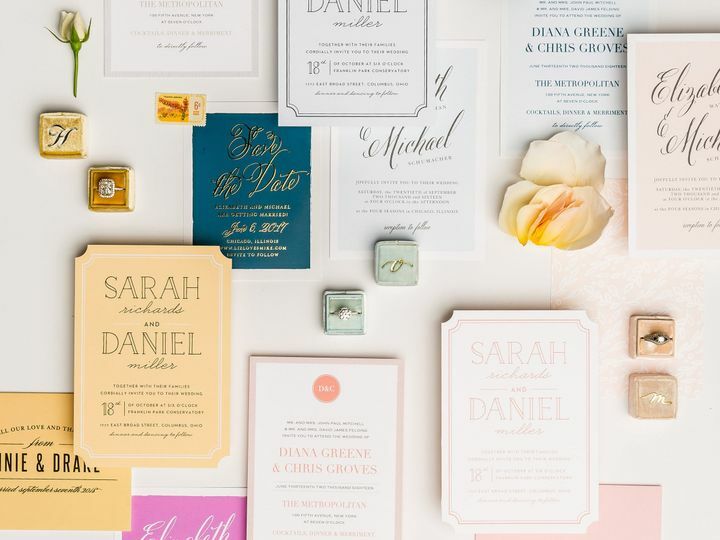 We are the only wedding stationery provider that allows you to order a truly custom sample of your creation prior to placing your full order. 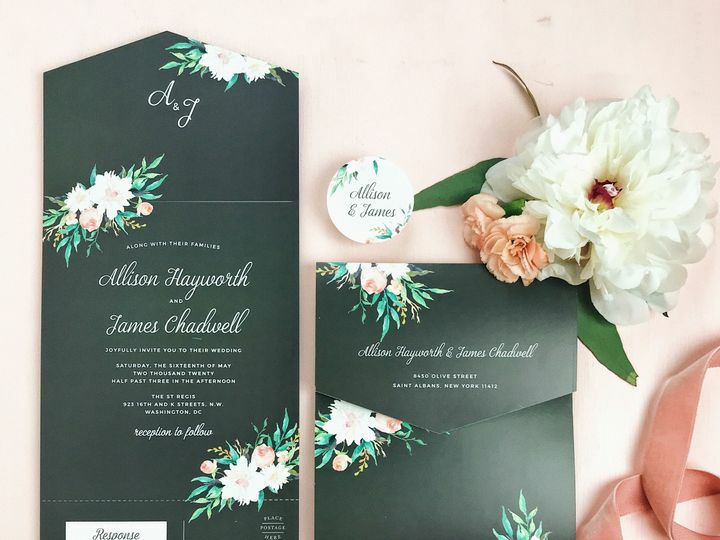 We carry hundreds of unique wedding invitation designs sourced from indie designers across the globe. 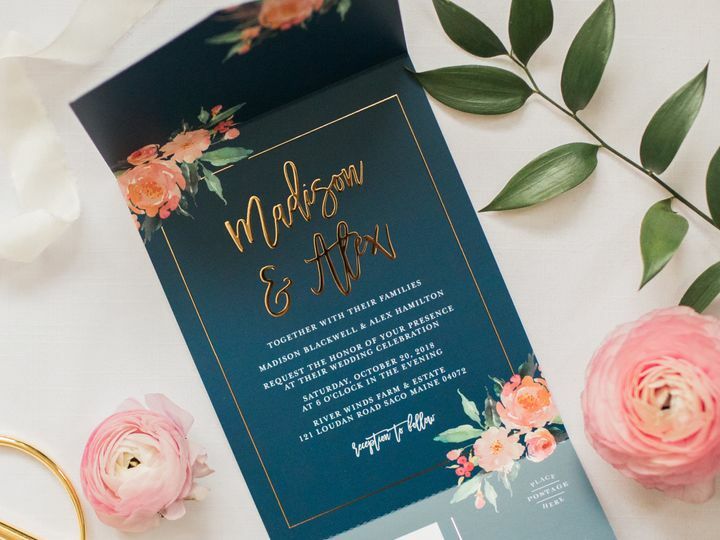 Be sure to check out our ever-growing catalog of trendy and stylish wedding invitations, pocket wedding invitations, or photo wedding invitations. 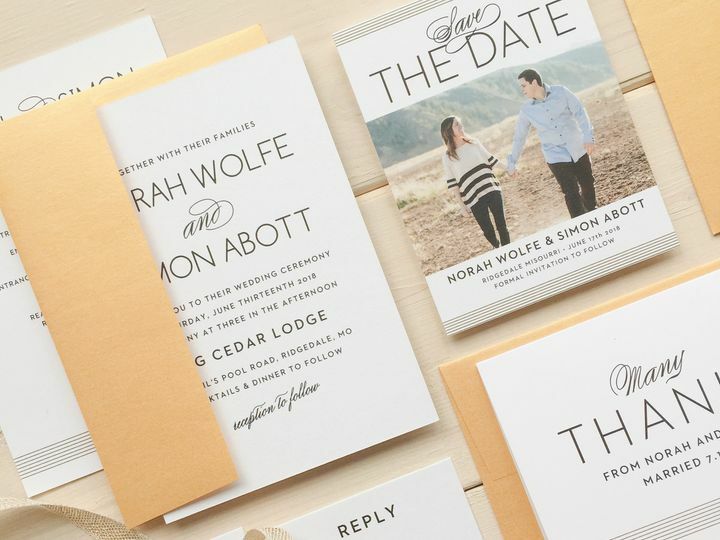 Our enclosures cards are unlike anything found anywhere else. 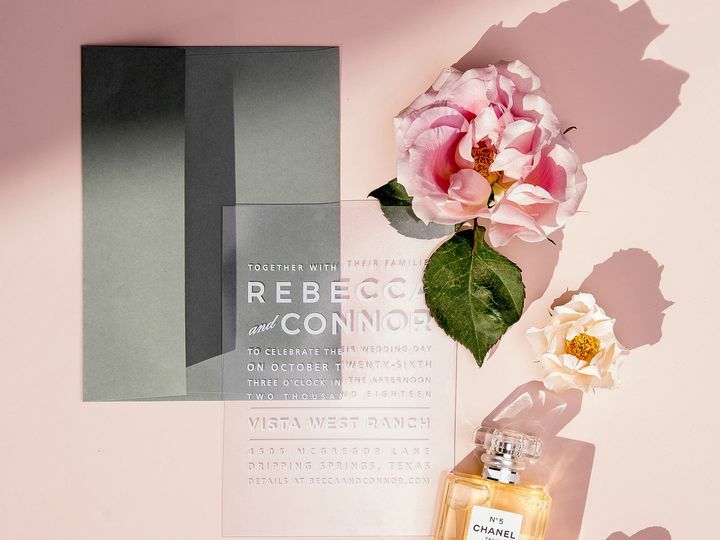 We carry up to 5 different sizes of tiered enclosure cards that perfectly match every wedding invitation design. 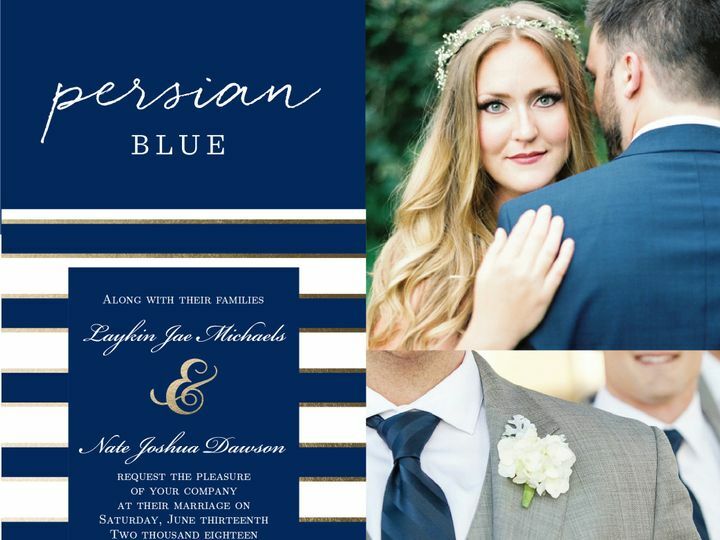 As with our wedding invitations, our direction cards, rsvp cards, accommodation cards, reception cards and registry cards can all be fully customized to match your unique wedding colors. 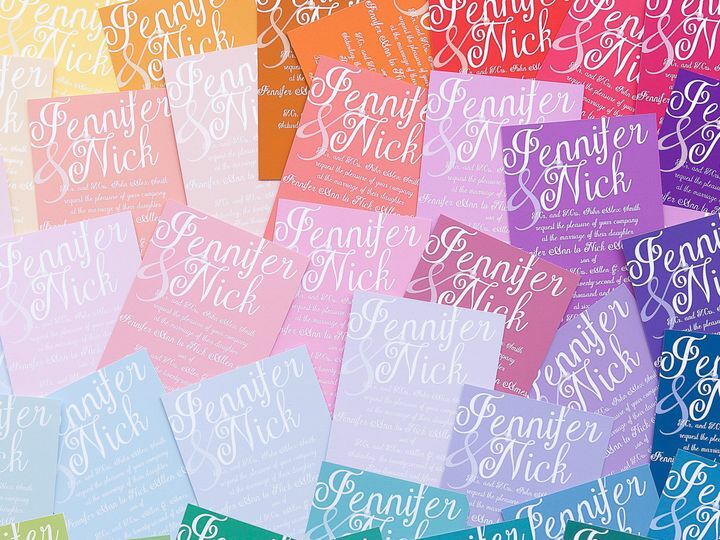 Each card in the set is 3/4" smaller than the card previous to it, exposing the title of each card in the stack. 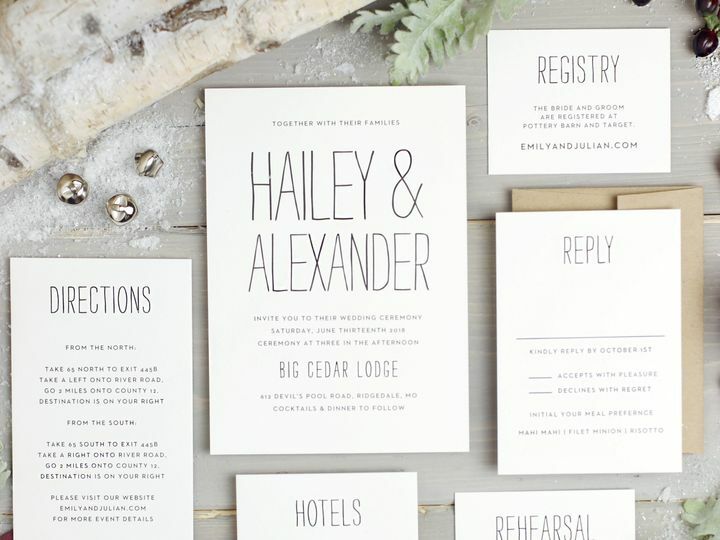 This makes your enclosure cards present perfectly with your wedding invitation suite. 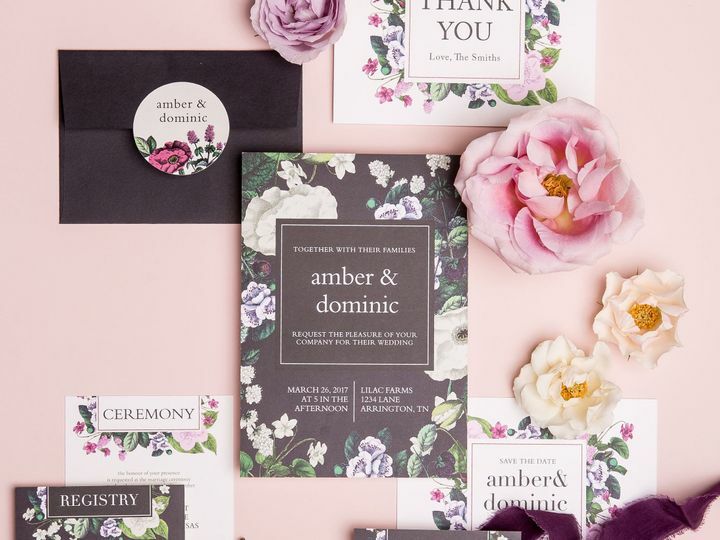 We also carry belly bands and logo squares; both of which match the rest of the suite and keep your cards tidy in their envelope. 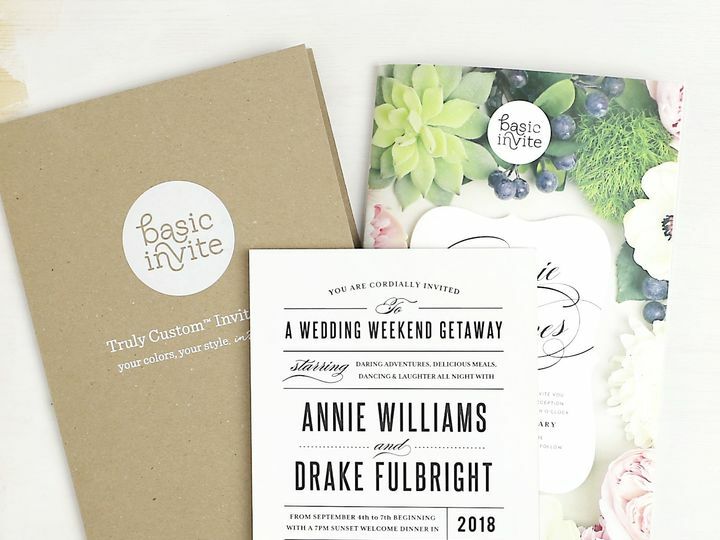 Tell everyone the good news about your upcoming wedding with a Save the Date from Basic Invite. 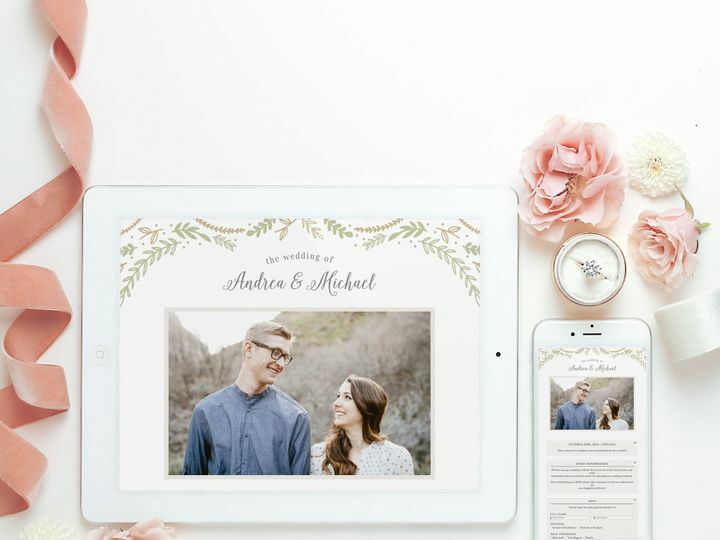 With instant online previews you can personalize your save the date magnet, save the date postcard, or traditional save the date card with your photos and colors to make it your own. 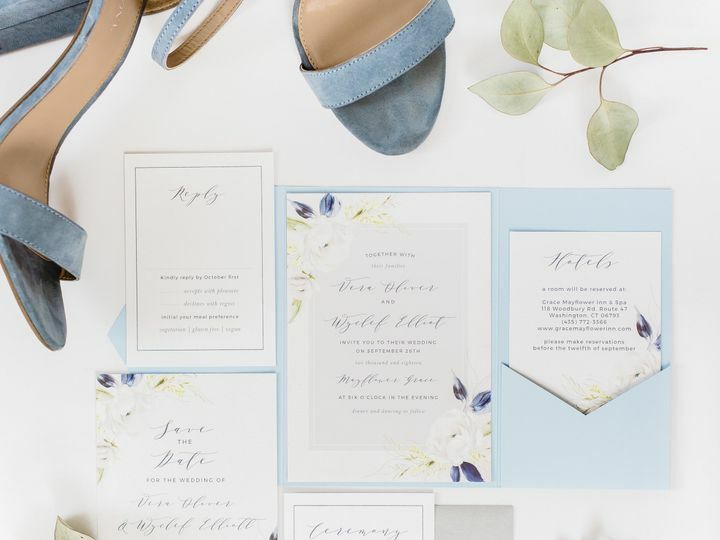 Each save the date is part of a matching invitation suite, making it easy to carry your wedding theme throughout your whole wedding. 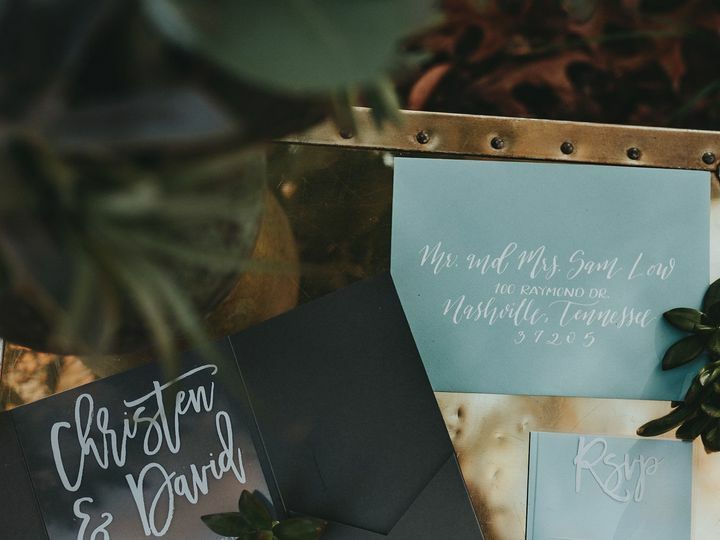 Personalized thank you cards are a great way to express your gratitude to your guests for taking part in such a special day. 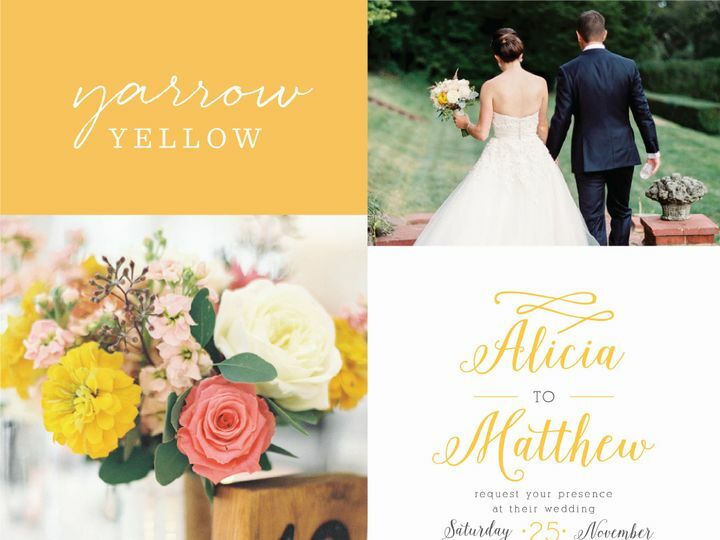 Personalize your thank you cards with wedding photos and your choice of over 150 colors and hundreds of fonts. 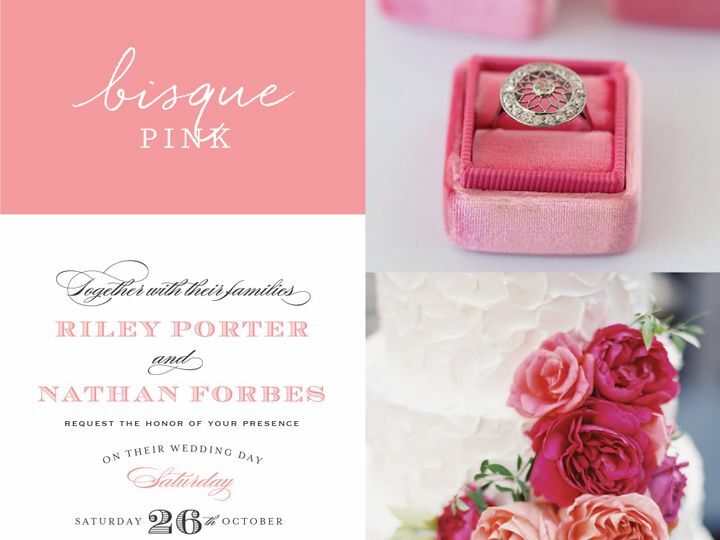 We're so happy we have the chance to be a part of one of the most important days in your life. 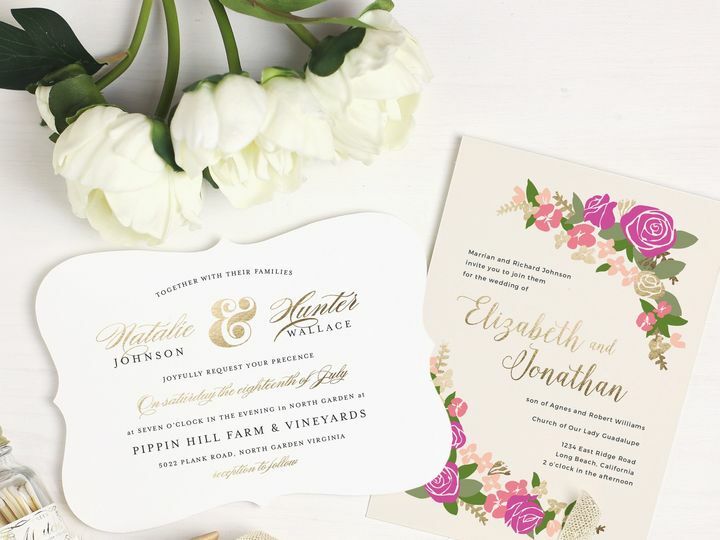 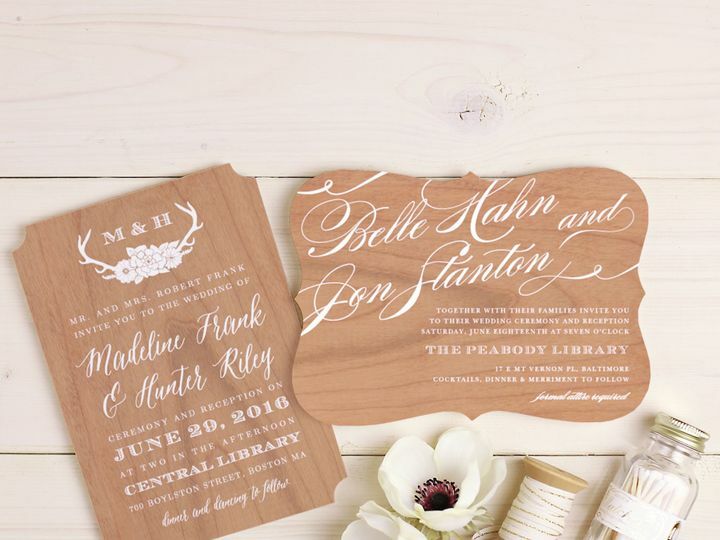 Our customizable wedding programs, and wedding menus are the perfect addition to your wedding invitation suite. 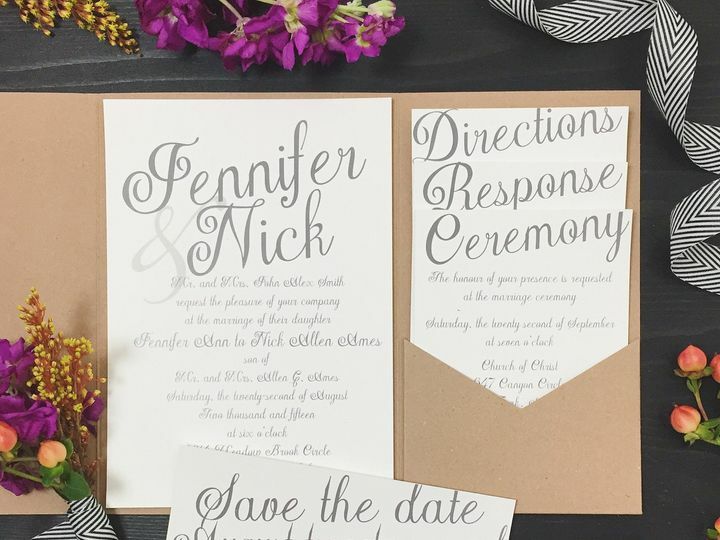 Our beautiful wedding programs are a large folded card, made of premium heavy weight cardstock. 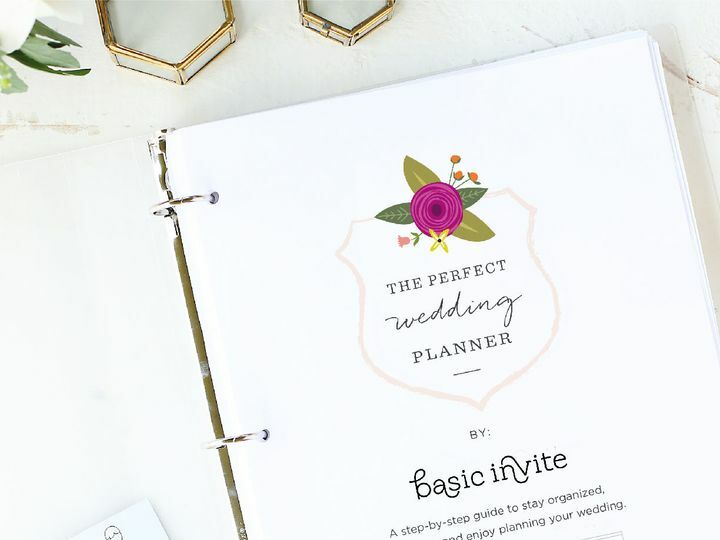 Your guests will certainly be impressed by the quality of the program, and have a beautiful keepsake to take with them. 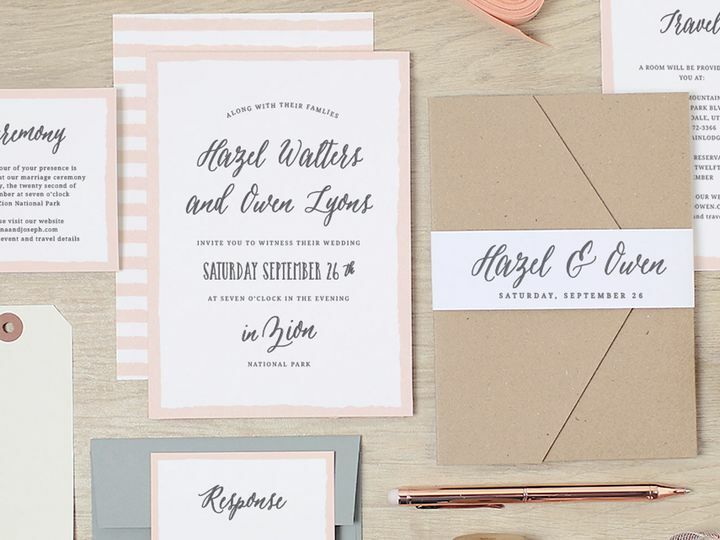 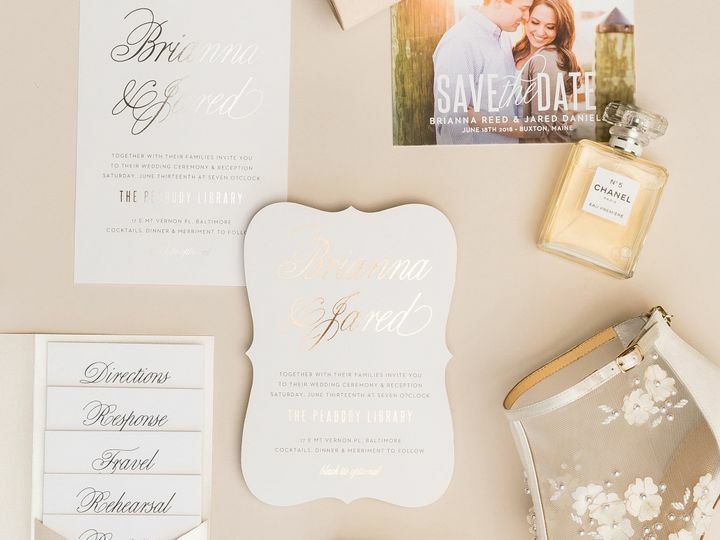 Your favorite bride-to-be deserves to have the perfect bridal shower invitation. 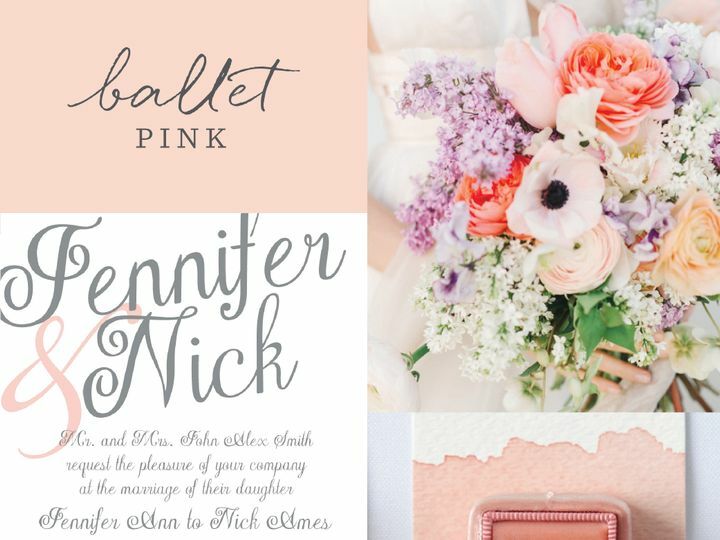 Choose from hundreds of designs and find the ideal card for the upcoming bridal shower.